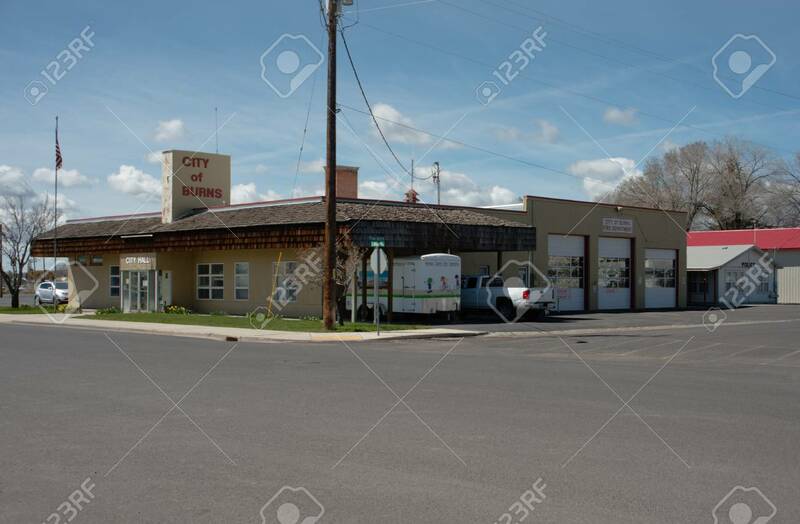 BURNS, OREGON APRIL 21 2016, The City Hall, Fire, And Police.. Stock Photo, Picture And Royalty Free Image. Image 79122522. Stock Photo - BURNS, OREGON APRIL 21 2016, The City Hall, Fire, and Police departments for the town of Burns. BURNS, OREGON APRIL 21 2016, The City Hall, Fire, and Police departments for the town of Burns.